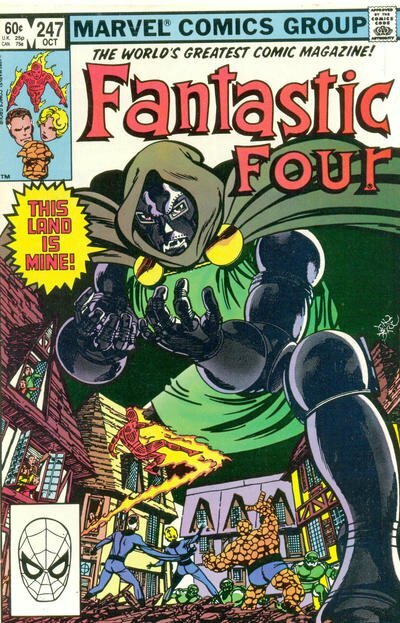 Click Here To See Fantastic Four #247 Comic Book! Check out this very nice BRONZE AGE MARVEL page, from this VERY HISTORIC FF STORY, which was penciled and inked by the great John Byrne, from the CLASSIC DR DOOM story titled: "This Land Is Mine!" This nice page features all out battle with Invisible Woman battling robots in Latveria at the top of page, and The Human Torch and Mr. Fantastic battling robots in 2 great scenes at the bottom! 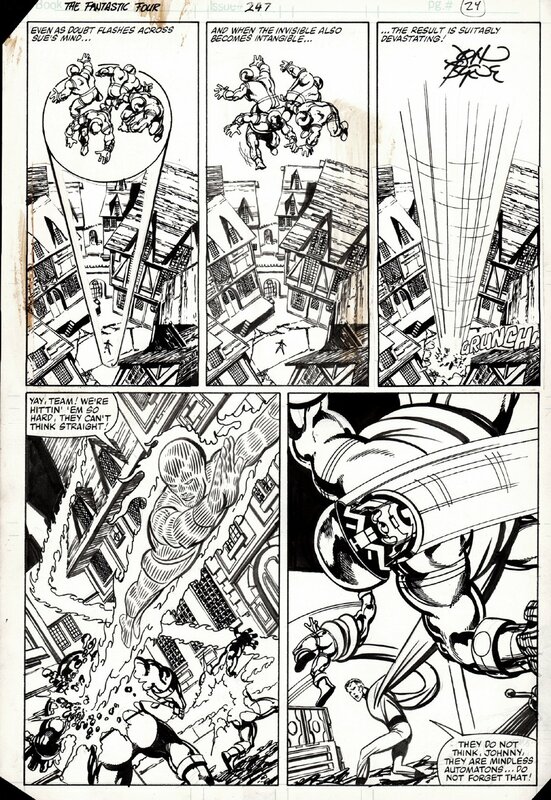 PRIME ERA John Byrne FF pages are getting increasingly hard to find for sale, so don't miss out on a great opportunity here to own a nice one right here! The buildings in panels 1 and 3 are stats created from the panel 2 drawn building art. ALL art on our website (including this one) are able to be purchased with VERY fair time payments, and trades are always considered towards "ANY" art on our website! Just send us an email to mikeburkey@aol.com and we can try to work something out.